Having good credit certainly has its advantages. When your credit score is good, it has the potential to contribute to a better lifestyle, as more opportunities are available to borrow money at more favorable interest rates. Conversely, when your credit score is bad, the odds are greater that you will be subject to higher interest rates, smaller loans, and lower credit limits. In order to assess your creditworthiness, lenders rely in part on your credit score. 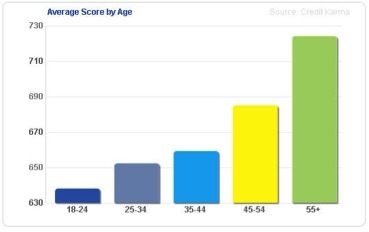 Credit scores are based on many factors that are part of a mathematical model. While there are hundreds of these models developed by many companies, the two that dominate the industry are the FICO Score and VantageScore. 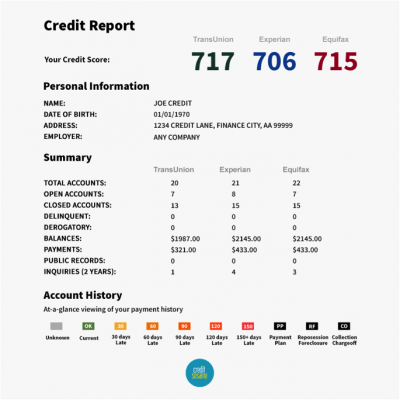 To get the credit-building process going, banks, loan companies, credit card companies, retailers, and others access information about you through credit-reporting agencies. The top agencies are Equifax, Experian, and Transunion. While there are others, these three dominate the industry. It should be noted that your credit score may vary with each agency, as illustrated in the “Credit Report” chart on the left. The Fair Isaac Corporation, or FICO, was founded by mathematician William Fair and electrical engineer Earl Isaac in 1956. The FICO score ranges from 300 to 850. While most scores fall between 600 and 750, a score of 700 or better is considered good, and a score of 800 or above is considered excellent. Higher scores represent better credit decisions and can make creditors more confident that you will repay your future debts as agreed. 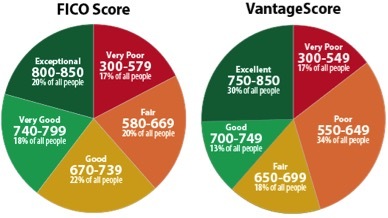 The VantageScore works in a similar manner, with a score of 700 or higher considered good. 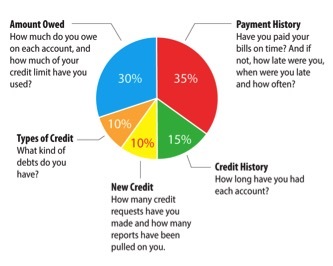 What Does or Doesn’t Affect Your Credit Score? 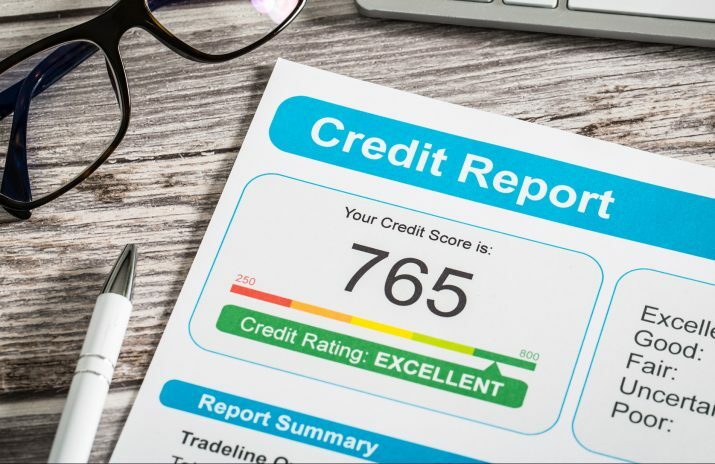 Your credit score is an indication to a lender — such as a bank providing mortgage loans, a credit card company, or a car dealership extending credit for the purchase of a car — of how well you will repay your loan. The score is also said to be a measure of the risk to the lender. Depending on your assessed creditworthiness, the lender may decide how to structure the elements of the advanced credit, such as the interest rate (see “How Your Credit Score Affects Credit Card Rates”), the down payment, and the term of repayment. The Fair Credit Reporting Act is legislation that governs how credit agencies should operate. For example, a 2015 study by the Federal Trade Commission found that nearly 25 percent of consumers indicated there were inaccuracies in their credit report. Under a 2003 law regarding credit reports, consumers may receive a free copy of their report from each credit agency once a year. While there tends to be a correlation between higher age and improving credit score, the second chart shows one aberration. This occurs with the 30-to-39 age group. One explanation for this is that individuals in their thirties experience financial matters that may involve more major expenses, including acquiring debt for such matters as marriage, buying a home, furnishing a home, and general lifestyle desires, and result in larger credit card balances. A review of the following graph illustrates that higher-income individuals tend to have higher credit scores, while lower-income individuals tend to have lower credit scores. However, a lender must still make a judgment based on more than just a person’s credit score. The lender also relies on its underwriting guidelines for the product line — a home mortgage loan, a car loan, a credit card — being considered. These may include your income, total outstanding debt, your debt repayment history, your employment history, and any other factor it deems appropriate and is consistent with consumer credit legislation. 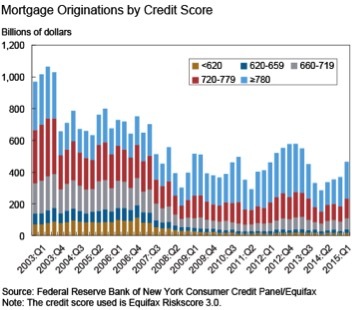 The following charts illustrate home mortgage and auto loan originations by credit score since the early 2000s. During the Great Recession, loan originations declined. 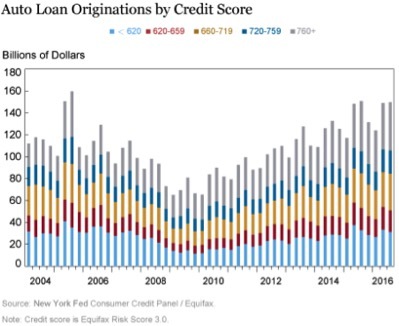 As the economy improved, loan originations increased. You may also notice there are fewer mortgage loan originations to individuals with low credit scores. Wise credit practices are always important. Review the scenarios provided below in the “Action taken by consumers” column. Then complete the “How might lenders consider the action” and the “Likely effect on credit score” columns. Tabitha owes $500 on all five of her store charge cards. She borrows on her credit card to pay off other charge cards. Tito has two relatively new accounts. To what extend will these accounts be managed well? Tomas has a car loan, a student loan, and a credit card. He uses varied loan products. He demonstrates the necessary capability by diversifying with a range of loan products. Fareed forgot to pay his student loan. He makes a late payment for the first time. Rhoda recently opened two accounts. How will the new accounts be managed? Ms. Tardy makes late payments on several loans. new loan. What’s the purpose of a new loan? Bob reviews several mature accounts. He appears to be conscientious. Emma waves goodbye — her home is in foreclosure. Ready to test your credit smarts? Head on over to our online credit quiz to get started! List the companies where you can get your credit score, including their website addresses. Why is a higher credit score more attractive to someone who is lending money? Using resources at hand, find examples of loans that are available to people with low, medium and high credit scores. Provide a list of ways in which your credit score can be affected. How are you able to improve your credit score? Complete the online credit quiz at centsaieducation.com/quiz/centsai-credit-quiz. Create a poster for your school that highlights how credit Scores work, credit ratings, and the dos and don’ts. The Importance of Having Good Credit?